Több mint 40 ESKÜVŐVEL KAPCSOLATOS KIFEJEZÉS ANGOLUL!! Ezen a csodás, napsütötte hétvégén ment férjhez William brit herceg feleségének Kate-nek húga, Pippa Middleton. Ez az esküvő volt az év leginkább várva várt nemzetközi romantikus eseménye, mellyel kapcsolatosan rengeteg sajtócikk megjelent. Az egyik brit magazin beharangozó Pippa-lagzi kalauzát dolgoztam fel, melyből több mint 40 násszal kapcsolatos kifejezést ismerhetsz meg, mégpedig úgy, hogy ezeket Neked kell visszahelyezni az újságcikkbe. Csak egy kifejezés van, amelynek nem akad helye. Melyik az? With less than two months to go until she __________(1) her __________(2), financier James Matthews, Pippa Middleton is busily finalising plans for her __________(3) - and it is certain to be the royal and society event of the year. Pippa's ceremony in Berkshire on 20 May will se crowds turn out to witness the arrival of famous __________(4), foremost among them the bride's elder sister, the Duchess of Cambridge, with her husband the Duke and their children Prince George and Princess Charlotte - who will have starring roles on the day. And the question on everyone's lips is: will Harry bring his girlfriend of eight months, actress Meghan Markle, as his plus one? 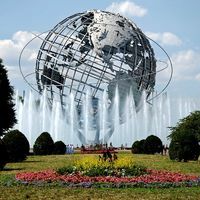 As the final __________(5) begins, Hello! can reveal that the bride has enlisted respected PR guru Jo Milloy, whose glittering client list includes Victoria Beckham, to help in the run-up to her greatest day, prompting speculation that Victoria may design Pippa's wedding dress, as she did for her close friend actress Eva Longoria. When a delighted Pippa __________(6) James's __________(7) last July, the hedge-fund manager presented her with a breathtaking __________(8). The art deco-style diamond __________(9), costing a reported £200,000, features a two-carat Asscher-cut diamond at its centre, surrounded by a cluster of baguette diamonds. It is thought that James, 41, chose the ring at Chelsea jewellers Robinson Pelham, who made Kate's diamond wedding earrings. 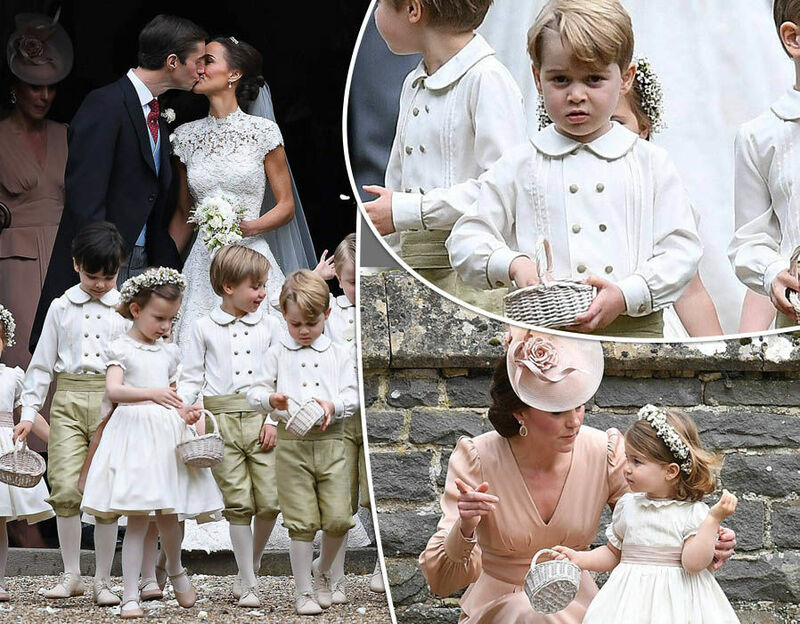 Pippa, of course, shot to worldwide fame when she was maid of honour at big sister Kate's wedding day in 2011. 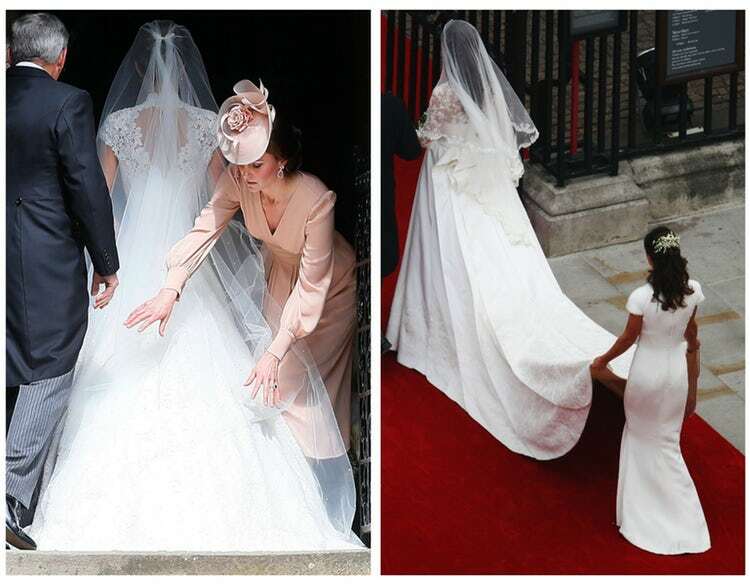 The smart money is on Pippa's royal niece Princess Charlotte accompanying her up the __________(11)...and effortlessly stealing attention away from the bridesmaids. Charlotte turns two just days before the wedding - an adorable age to make her debut as a __________(12). The happy couple have chosen the grade I-listed St Mark's Church in Englefield, Berkshire, to exchange their vows. Relatively small - at least compared to the grand Westminster Abbey where the Duke and Duchess of Cambridge married - it fits with the intimate feel that Pippa and James are striving for at their __________(14). The country church dates back to the 13th century but was restored in 1857 by Sir George Gilbert Scott. There are few decisions bigger for a brige than what to wear on her wedding day. Pippa, 33, has consulted some of London's top designers, with Giles Deacon thought to be the favourite after he was seen meeting the bride-to-be and her mother Carole last year. Last year, sketching exclusively for Hello!, A-list couturier Jacques Azagury suggested a __________(15) that elegantly shows off Pippa's figure. Other names in the frame include Jenny Packham, a favourite of Pippa's sister Kate. And given Pippa's link to Victoria Beckham, could the ex-Spice Girl be the surprise choice? 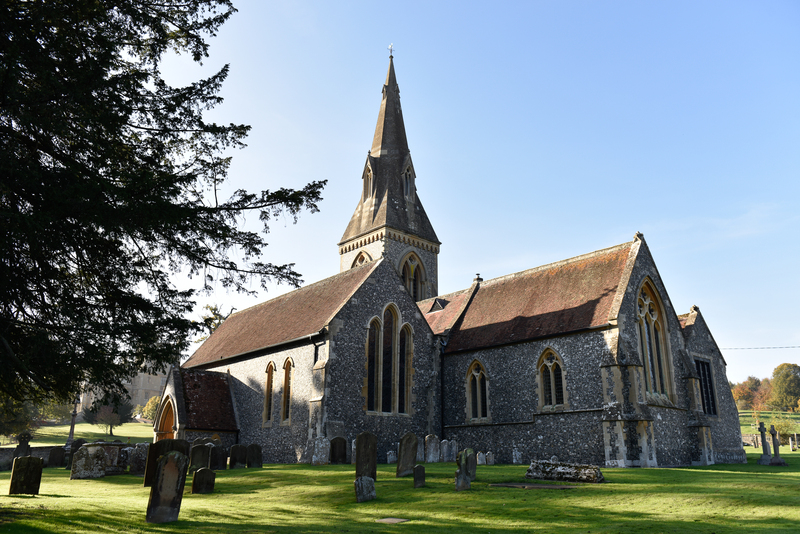 St Mark's Church is situated in the shadow of Englefield House, a vast Elisabethan country house used as a location for a huge number of TV series and films, including the Oscar-winning The King's Speech. Most recently, Englefield was used to shoot hit Netflix drama The Crown, about the Queen's early reign. The estate is owned by the House of Commons' richest MP Richard Benyon and his family. In her party-planning book Celebrate, Pippa writes that "flowers add the finishing touch to any celebration". She will be spoilt for choice in May when the English countryside will be in full bloom. Pippa has been spotted at Lavender Green Flowers in Chelsea and will certainly have the pick of the __________(16) including __________(17), __________(18) and roses. His Royal Cuteness will be nearly four years old by the time his Aunty Pippa walks down the aisle - definitely grown up enough to play the role of __________(19) or __________(20). The eldest child of the the Duke and Duchess of Cambridge has been brought up to behave impeccably at royal occasions - remember how well he handled the pomp and pageantry of last year's Trooping the Colour - which will surely stand him in good stead. After they teamed up in the key roles of maid of honour and best man at William and Kate's wedding in 2011, Prince Harry was always going to be on Pippa's guest list. But will the eligible 32-year-old bring his American girlfriend Meghan Markle to the celebrations? The lovebirds have been dating for about eight months and attended their first wedding together as a couple in Jamaica last month. This could be the encore. Lucky invited guests were sent Save the Date notes inside their Christmas cards over the festive season, and discreet invitations are due to be sent out shortly. Pippa has been spotted at the elegant Mount Street printers with her mum Carole. The Mayfair-based, family-run firm - which was awarded a Royal Warrant by the Prince of Wales in 2011 - is popular with the Chelsea and fashion sets. Discretion and quality are assured. The woman who has masterminded Victoria Beckham's PR strategy for the past 12 years is working with the bride in the run-up to 20 May. Jo was responsible for overseeing Victoria's successful transition from popstar to respected fashion designer and is considered one of the best operators in the business. Pippa's older sister Kate will, of course, play a pivotal part on the day itself, although it's doubtful the Duchess of Cambridge will take on the role of maid of honour for fear of stealing the spotlight from the __________(22). But she will most definitely be offering support and help to her little sister behind the scenes. Used to public speaking, Kate could also do a reading during the __________(23). James __________(24) Pippa during a romantic holiday in the scenic Lake District in July last year. Pippa was reportedly surprised when James __________(25) during a walk, though he had secured the __________(26) of her parents Carole and Michael beforehand in top secret. A stunned Pippa said yes to her beau without hesitation. Extremely close to her daughters Kate and Pippa, Carole Middleton is known for being incredibly organised. She is sure to have been indispensible to the bride-to-be, especially planning the reception, which will take place in the ground of her and husband Michael's Bucklebury home in Berkshire. Carole will also be on the lookout for the perfect __________(27), hoping to follow her sartorial hit in a pastel-blue Catherine Walker outfit when Kate married William. 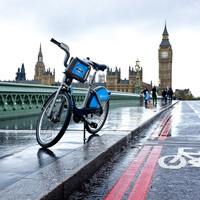 The world may be their oyster when it comes to selecting a luxury __________(29) destination, but the bride and __________(30) will be anxious to pick a destination that offers absolute discretion and privacy. They could well consider, the groom's family's St Barts hotel, Eden Rock, where Ultraluxe Villas have direct access to the beach. It would be a slice of paradise in which to recharge after the hectic __________(31) and to enjoy their first days together as the new Mr and Mrs Matthews. The __________(32) Nick Wynne-Jones is the resident __________(33) at St Mark's and a hugely respected figure in the community. He was seen warmly greeting Pippa and James after they joined the Middleton family and the Cambridges with George and Charlotte - at last year's Christmas Day service. Pippa started her career as a party planner and published a book, Celebrate, in 2012. She has since written about etiquette and __________(34) tips for a variety of publications as well as helping out at the successful company founded by her parents, Party Pieces. She hinted at her tastes in Celebrate, featuring recipes including gravadlax and beef Wellington - neither dish out of place at a spring wedding. Her Majesty took centre stage at the 2011 wedding of her grandson Prince William to the then Catherine Middleton. 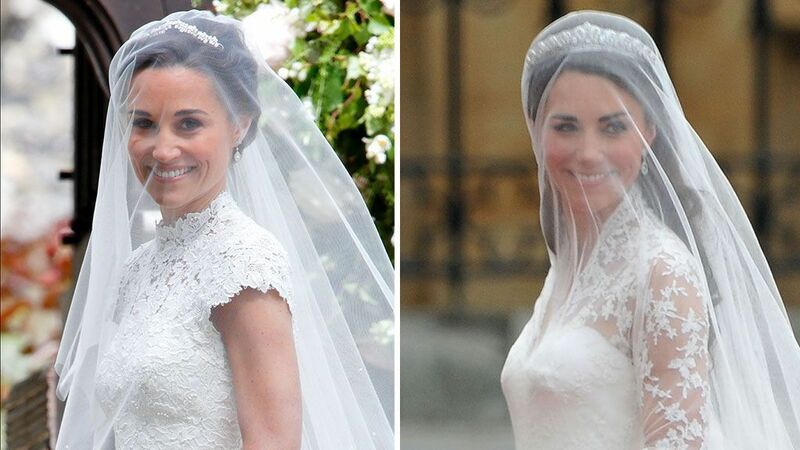 But with no direct link to the bride and groom, the Queen will not be __________(35) the nuptials of Pippa and James. The beautiful 18 acres of the Middleton family home are the perfect backdrop for a dream wedding reception. 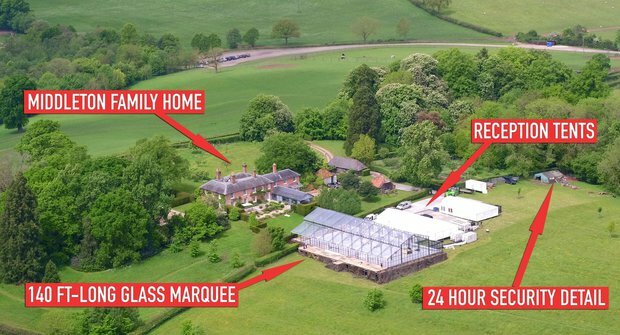 Michael and Carole Middleton's estimated £5.6 million, seven-bedroom Berkshire property has ample grounds to accommodate a luxurious marquee, screened by surrounding woodland and fields. This is the same property where Kate sought privacy after giving birth to Prince George in 2013 and where the first official photos of the royal baby were taken, in the Bucklebury garden, by grandfather Michael. James's younger brother made his name as quite the lothario in hit reality show Made in Chelsea but the socialite appears to have been on his best behaviour of late. Extremely close to his brother, Spencer is tipped to take on the role of __________(37). Though recently linked to Vogue Williams, a fellow contestant on Channel 4 show The Jump, which Spencer won last month, he is currently believed to be single and likely to attend the wedding solo. Pippa's future father-in-law David Matthews is the Laird of Glen Afric, a title he has enjoyed since he bought the 10,000-acre Highland estate in 2008. When David dies, James will inherit the lairdship and wife Pippa will be described as Lady Glen Afric. T could also be for __________(38) favoured headgear for many brides on their big day. 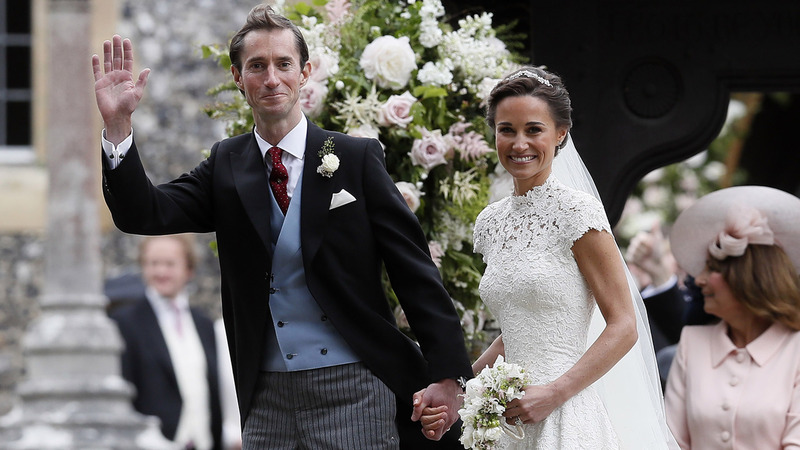 Pippa's younger brother James, 29, and the groom's hedge-fund business partner Edward Horner are likely to lead the team of ushers, helping direct the guests to their pews. Pippa and James's wedding will be a classic English country affair and when Philippa Charlotte Middleton takes James Spencer Matthews to be her husband, the vows they exchange will no doubt be equally traditional. Since Pippa is a favourite aunt to his children, the Duke of Cambridge will surely play a pivotal part in his sister-in-law's wedding. As a hands-on father he will also keep a watchful eye on Prince George and Princess Charlotte during the __________(40). Pretty, popular and sporty, Pippa has never lacked admirers. She has remained friends with her exes including retired cricketer Alex Loudon and banker Nico Jackson. James reportedly met his bride-to-be for the first time ten years ago on the idyllic Caribbean island of St Barts. The spark was there but in the intervening years each pursued their paths in life - and shared a love of sport - before their romance took off in summer 2015. James's mother Jane, 69, was born in Zimbabwe before moving to South Africa to study fine art. She left for London at the age of 21, initially working for Christian Dior before meeting and marrying David. Slender and chic, she is sure to give Carole a run for her money in the glamour stakes at the wedding. Hogy tetszett az ESKÜVŐI SZÓKINCSTÁR?